Additional Info: Masters of Arts Degree in Music Ed/Piano in Ukraine. 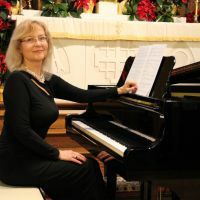 Previous experience in accompanying solo or group (voice/instruments) for school festivals, contests, performances, church accompanist for the service. I have some experience to play organ. Studied classical aducationin Music College & University in Ukraine.